The ACLU, or American Civil Liberties Union, sent out public records requests on cell phone location tracking to 383 law enforcement agencies across the nation. So far a little over 200 have responded and of that 200, only 10 have reported that they do not track cell phones. The ACLU has just published all the documents these law enforcement agencies submit and the most concerning element is the sheer inconsistency of cell phone tracking policies. Even within the same state there are varying practices. For example, in Honolulu or Hawaii County, police are obtaining a probable cause warrant, however in Kauai, police might use an administrative subpoena, which doesn’t require probable cause in order to be issued. Some departments even admitted to warrant-less tracking. Such examples cited by the ACLU were in Lincoln, Nebraska where they obtained GPS location data without demonstrating probable cause and Wilson Country, North Carolina where police obtain historical cell tracking data where it is “relevant” to an ongoing investigation. There are also departments such as the one in Cary, North Carolina, whose records show requests for all phones that utilized a particular cell tower. Several agencies cited that they are dependent on the carrier’s policy for authorizing police use of location data. Unfortunately, not only are those policy different depending on the wireless service provider, many times the carrier does not demand a warrant, and, even more concerning, is the fact that it is a profitable business where cell phone companies charge anywhere from a few hundred dollars to $2,200 depending on the amount of data provided. While there are plenty of examples where cell phone tracking has saved lives, such was the case in Grand Rapids, Michigan where police were able to locate a stabbing victim who was hiding from his attacker in a basement, the overall concern is both the potential for abuse and the current abuse that is already taking place. The training manual for the Iowa City Police department specifically states, “Do not mention to the public or the media the use of cellphone technology or equipment used to locate the targeted subject.” It also advises that information be kept out of police reports. Another training manual in Nevada notes that using cell tracing to locate someone without a warrant “IS ONLY AUTHORIZED FOR LIFE-THREATENING EMERGENCIES! !” The manual says that this practice was “misused” in some standard investigations in the past. The ACLU is using these findings to help push the Geolocation Privacy and Surveillance Act, which would require law enforcement to obtain a warrant based on probable cause before accessing location information data. For more information on the GPS Act, you can read it in its entirety online at the Library of Congress. 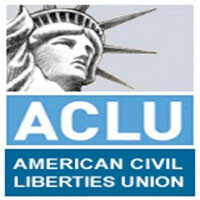 The ACLU is hyping this up. No surprise that different departments have different policies. Find me 200 IT companies that all have the same policies. In fact Google and everyone else is probably tracking 100 times the amount of information than law enforcement is. I really don't see a problem with the policies listed in this article for the most part. If it's a life threatening situation, or a judge has signed a warrant, what other restrictions do you want? Read more before going on rants. It's saying that the policies vary from carrier to carrier and seems that some are selling the data, go figure capitalism. ACLU wants to ensure that all times that law enforcement use cell tracking and activating GPS to find someone it is following a guideline set by the law and they aren't just abusing the technology and the sort scope and behind the times law. Yeah I got that part. What's your point? You can't compare law enforcement and private companies. Your talking apples and oranges. The title of this article lists "police". Does the FBI know that you made a reply or read this article? Unless you are a terrorist I doubt it. Does an IT company know? You bet. Companies have been selling info for years. I don't agree with it. If this was an article about private companies selling out info I agree. But I think the author did a bad job by trying to link the FBI and IT companies together. I fear Google and Facebook looking at my information 1000 times more than the FBI. Have you read the new privacy changes Google made? If you don't have weight in your pocket, you don't have to be worried on the way.